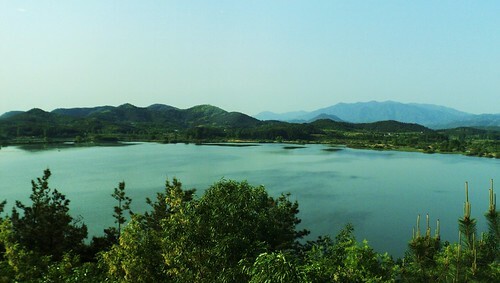 Upo Wetland is part of the Tentative list of Republic of Korea in order to qualify for inclusion in the World Heritage List. I was pleasantly suprised by Upo. I honestly did not know what to expect. No one in Korea I knew ever visited Upo marsh, while only a few had even heard of it. 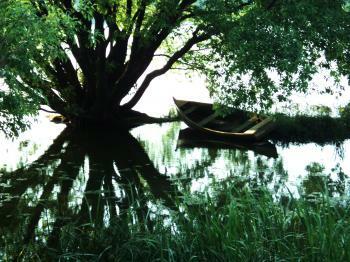 The Upo wetland is really out of the way for most travelers, located deep in the Gyeongsangnam countryside. I highly recommend upon arrival renting out a bike, which is conveniently located at the entrance of the marsh. The marsh is beautiful, and you will undoubtably see wildlife. I primarily saw cranes and ducks. The marsh is somewhat small in comparison to most natural nominations, but I would not be suprised if Upo became a WHS. The site was recently registered on the Ramsar wetland list. Visiting the site in the early evening was particularly worthwhile. If you are planning to visit Haeinsa Temple I would suggest Daegu as a hub destination. From Daegu, you can visit Haeinsa, Daegaya Tombs, Dodong Seowon, and Upo Wetland. Which is a nice sample of Korea's Tentative List.